As I go through the Appendix N reading list, I can see there were books that heavily inspired game play (like the various Swords & Sorcery offerings), and a few books that heavily inspired game elements and mechanics - things like Tolkien, Vance, and then this book -Poul Anderson's Three Hearts and Three Lions. The story is a light-hearted page turner, definitely a quick read and very accessible to a modern reader (though expect to find a used copy - it's out of print). One of the things I found most interesting was it's depiction of the world of chivalric romance - the story takes place maybe 50 years after the Song of Roland. The story of Arthur has been done to death; Three Hearts and Three Lions takes a supporting character from The Matter of France and asks the question, What Happened Next? The first thing I'd point out is the introduction of the Law vs Chaos alignment axis. This might be the first instance of it - I'd be curious to know if it appeared earlier than Poul Anderson. It certainly predates Elric of Melnibone or Roger Zelazny's Chronicles of Amber, two works that feature Chaos, and are also in my reading queue. 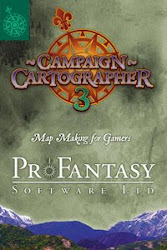 If you've read the introduction to B2 Keep on the Borderlands, where Gary Gygax waxes poetic about the Realms of Man and the forces of Chaos threatening just beyond man's borders, you would swear he was leafing through Three Hearts and Three Lions and pulling quotes; this book is the source for the playable version of D&D's alignment system (as opposed to what was done to 1E). The concept for the paladin class came whole cloth from this book - the detect evil, the laying of hands, the warhorse, the quest for a holy sword, it's all there. 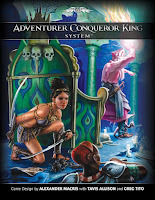 What didn't come from this book is the Lawful Stupid approach generations of DMs have saddled on the paladin. 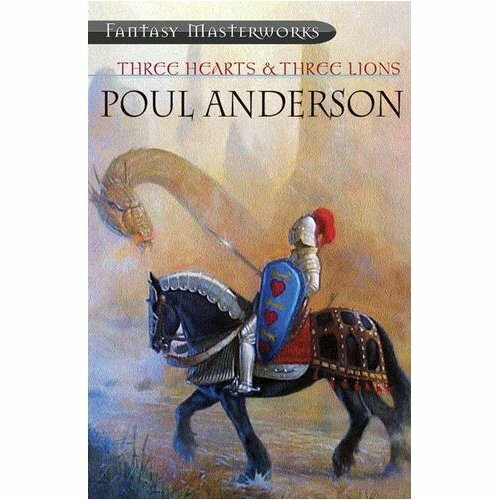 The 1E PHB should have a disclaimer - "make your DM read Three Hearts and Three Lions before you attempt to play this class in his game…" Another case where the 1E alignment system fell apart. I'll say this - Holger as paladin has just as much carousing fun as any Swords & Sorcery roguish hero, while staying true to the quest. The climactic fight in the novel is against a troll - the D&D troll! It's as if the artists used the text descriptions as their work order, and Gary used the text to define the troll's abilities. As limbs are severed, they crawl back to the troll's body and reattach themselves; it was excellent seeing the origin of one of D&D's iconic monsters. The implied setting of D&D is a medieval place like Western Europe, with Tolkien's races tossed in for variety; what struck me about this book was how it presented the Europe of Christian folklore. The story took the quirks and foibles of the chivalric stories, and presented them as the baseline reality of the setting. There are monsters driven back by a few holy words spoken in Latin; there are fairies that dissolve when struck by iron. States of grace and virtue matter and have a real effect in the world. The campaign style this implies certainly isn't for everyone; lots of folks try to remove the Christian-trappings from their D&D worlds. Other interesting elements that make appearances are a dragon, a werewolf, the introduction of the Swanmay (I suppose Lohengrin predated it a bit - :smirk:), wood and mountain dwarves, witches, demons, the courts of Fairy, a nixie - chock full of interesting presentations to fuel your imagination. 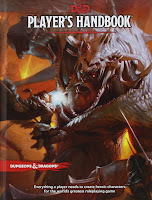 To understand where D&D came from, this book is a must-read. I loved this book as a teen - before I first played D&D IIRC. I'll have to dig up a copy; been about 30 years since I read it last.